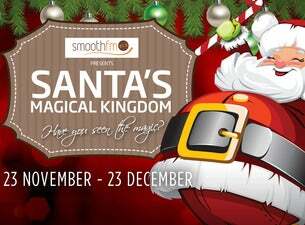 Santa's Magical Kingdom, is returning to Australia this November. The magic of Christmas will come alive at Santa's Magical Kingdom 2018, with an interactive walk-through adventure land that includes everything you love about the festive season, plus an International Spectacular Christmas Show that will amaze young and old. Lasting memories of fun, laughter and special 'family time' will be remembered by guests long after the event has come to a close. Santa's Magical Kingdom is for every child and the `inner-child' in all of us. Plus so much more fun for the whole family!